Our program provides a safe and nurturing place for children during, before and after school hours. It allows the children to balance learning and fun through a variety of experiences. The children will have the opportunity to be creative and form new friendships through free play, arts & crafts, and outdoor activities. They will also have the opportunity to complete their homework with guidance as needed. The teachers are here to support your child in completing their homework, which frees up time in the evenings for you to be together as a family. Bus transportation to and from Cypress Cove and Honey Island Elementary is provided by the school district. Breakfast and afternoon snack will be given. Primary Colors is also open during most school holidays and able to provide care when school is out. Children never stop learning—even before and after elementary school hours. A safe, secure environment, well-trained teacher, and stimulating activities foster child development. Effective before and after school programs can benefit children well beyond elementary school. 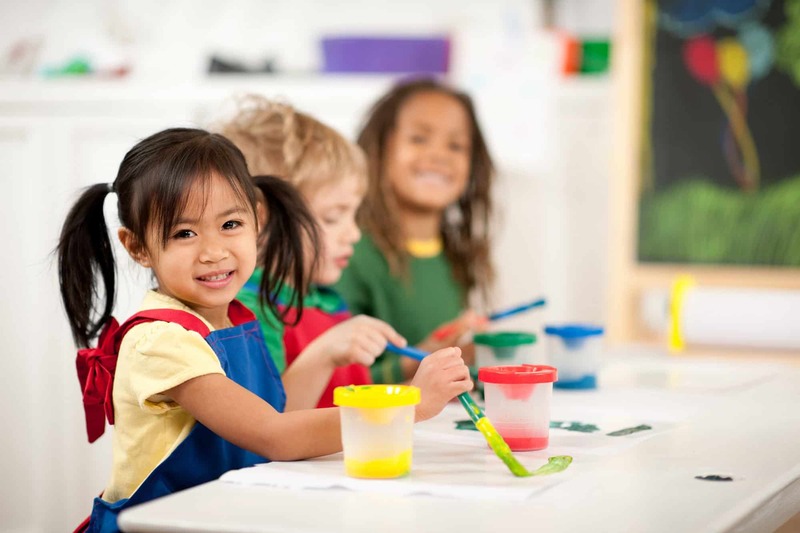 Customized Program: Primary Colors has designed our school age program to meet the needs, interests, and aspirations of children 5 to 8 years old. Whether your child’s interest is sports, art, reading, drama, organized games, or science, he or she can pursue their passion in our school-age program. Outdoor Activities: Research shows that children’s muscles, bones, and emotional health benefit from physical activity. What better place to exercise than out in the fresh air on our playground. Help with Homework: Your child’s teacher is available to help with completing homework allowing him or her to enjoy the rest of the day—including family time in the evening.